DDOT’s Been Busy in Park View this Month | Park View, D.C.
DDOT has been doing a lot of work in the neighborhood in addition to their ongoing tree planting schedule. Most importantly, all the streetlights were out for four days on Luray Place at the beginning of this week, creating a significant public safety issue. After sustained involvement from ANC Commissioners Rashida Brown and myself, as well as assistance from Councilmember Nadeau’s office (in addition to all the residents who called 311 repeatedly), the lights were finally on again last night. This wasn’t a matter of out lights, but rather power wasn’t getting to poles #11492 (in front of 3400 Warder, St, NW), #11643 (in front of 438 Luray Place), #11642 (in front of 414 Luray Place), and #11644 (in front of 455 Luray Place). 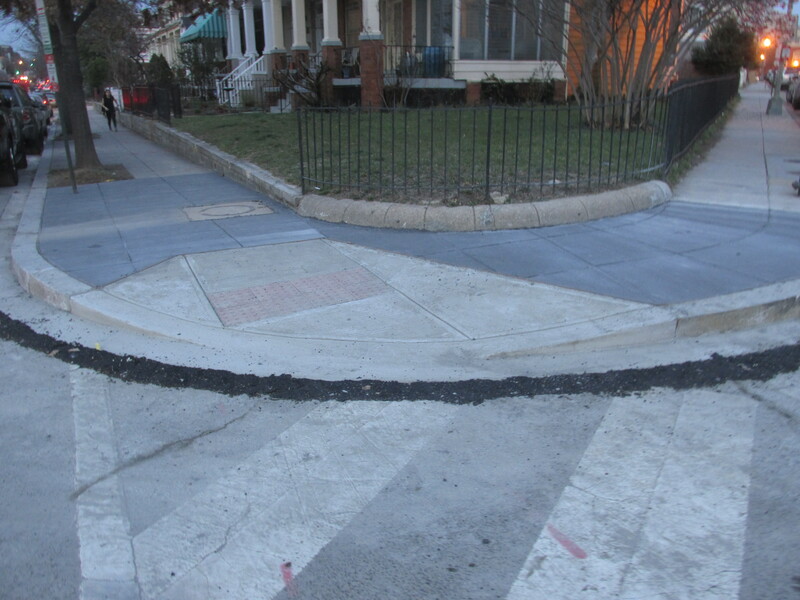 Outside of Luray’s unexpected service disruption, DDOT has also been doing sidewalk work around the neighborhood. 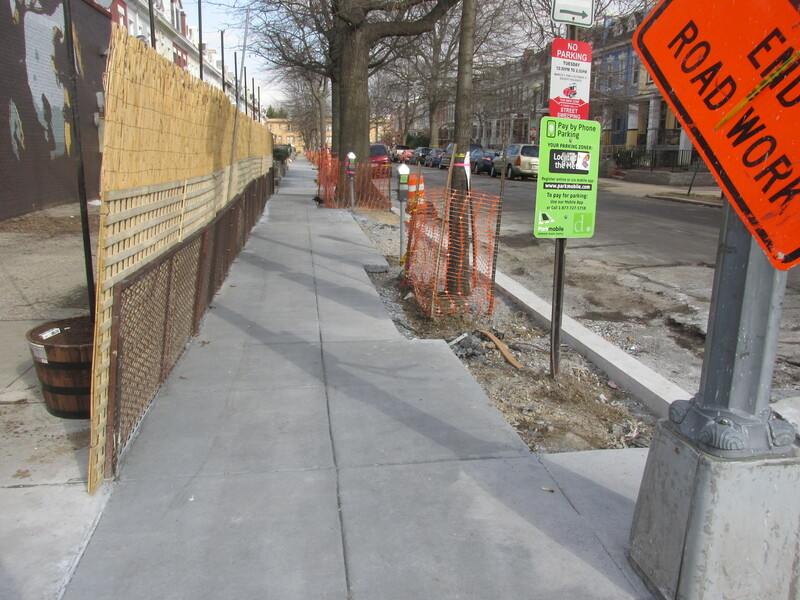 On Lamont Street east of Georgia Avenue, the sidewalks and granite curbs are being replaced (see below). 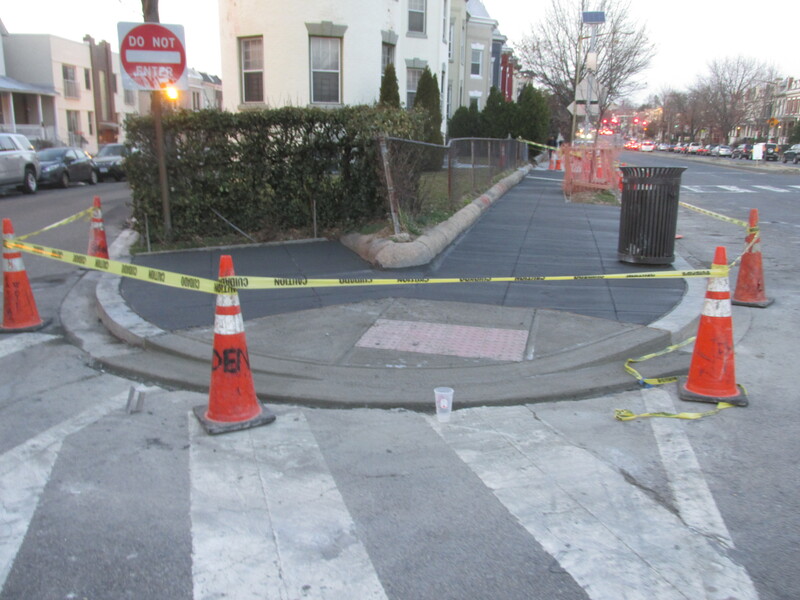 While over on New Hampshire Avenue between Park Road and Princeton Place, all the crosswalks have been rebuilt and now meet DDOT’s current standards. This entry was posted on March 11, 2016 at 7:01 am and is filed under Uncategorized. You can subscribe via RSS 2.0 feed to this post's comments. You can comment below, or link to this permanent URL from your own site.